10 Reasons Why I Love Tokyo Street Fashion! The boldest and most innovative of all fashion genres, Tokyo street fashion will always have a special place in my heart. The colors, the explosion of textures, the freedom of expression, how can one not be inspired by this fashion mecca? Only in the streets of Tokyo do I truly witness fashion that I have never seen before. Sometimes their daily style consists of high end luxury brands but most of the time I see bold combinations of affordable clothing. Tokyo street fashion is more than just fashion; it is a mentality. Have a Tokyo street sense of mind and check out the 10 reasons why I love Tokyo fashion! One of distinguishing themes of Tokyo street fashion is creative, boundless and rule breaking layering. You won’t find combinations quite as unique in Tokyo as you would anywhere else! Leather jackets with pick laced dresses, a cardigan over a trench coat, plad on plad: these are just a few examples of their bold taste. One of the many genres within the umbrella of Tokyo street fashion, Decora is the most playful and colorful of these street tribes. These walking christmas trees are an eclectic ensemble of all the brightest colors, creating and electrifying fashion statement. Starting with just a simple dress, they combine any accessory of bright colors and fit as many of them onto their bodies as they can. Boys in Tokyo don’t feel as awkward dressing extravagantly as compared to other cities in the world. Bright colors, bold prints, heavy accessories and funky choices are all within range for them. It’s different and refreshing to see. To say that Tokyo fashion is colorful is an understatement. From shoes, to hair, to dresses and to accessories, every piece an outfit can be as colorful as one wants, regardless of how it goes with the rest of the outfit. White shoes, with a blue dress and a red scarf? No problem! Tokyo street fashion is about celebrating youth through bright colors! Tokyo’s Harajuku district boasts many vintage clothing stores and it shows in the streets. Kids in the city love their vintage boots, bags, jackets and accessories. Common vintage styles are steam punk and Victorian period themes. 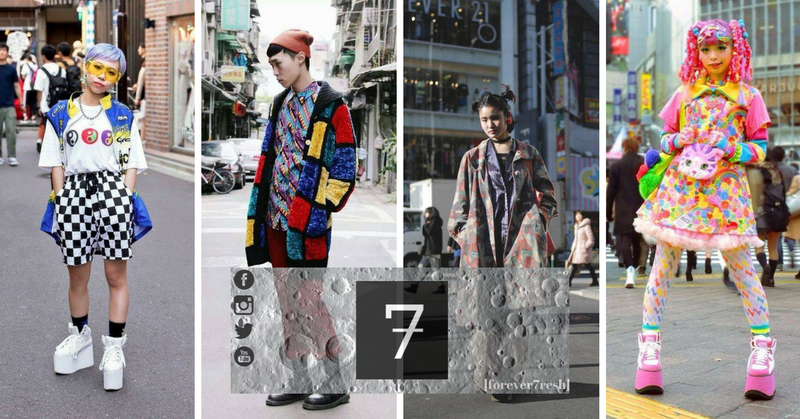 The youth dominated Tokyo street fashion scene relies heavily on thrifting to achieve their daring styles. Through second hand shopping and sheer creativity, kids combine simple affordable clothing to make runways out of the streets. One of my favorite things about Tokyo street fashion is the celebration of youth. The hardworking and conformist Japanese society lets lose on the streets and celebrates being carefree! The best thing about Tokyo street fashion is the complete disregard for fashion rules! In fact, Tokyo street fashion has an entirely separate rule book. Tokyo fashion crowd is a raving social scene and it seems like they have so much fun! They look like they know how to turn up, have a wild parties and have a good time. The freedom of expression is that I value the most about Tokyo street fashion. The electric colors, the creativity, breaking fashion rules; it just makes you feel like living life to the fullest! Previous 3 Reasons Why ALL Diets Fail!